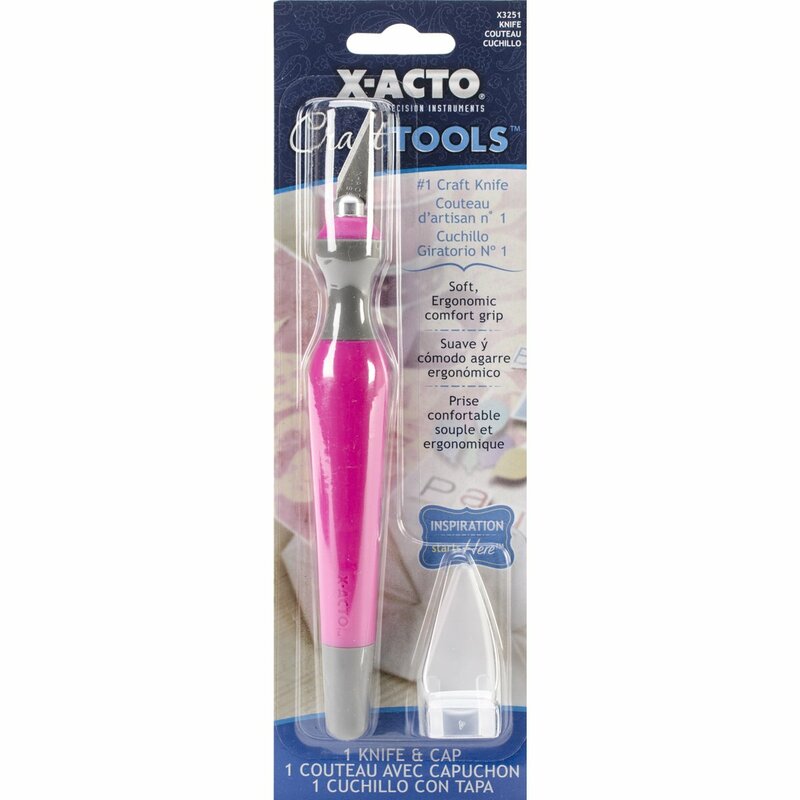 X-ACTO knives are the preferred cutting tool for a wide variety ofprofessionals and hobbyists alike. Designers and artists love the X-ACTOknife's ability to produce careful and meticulous cuts with consistency, whileengineers praise the knife's durable design and reliability. The X-ACTODesigner Series Number 1 Craft Knife offers superior precision cutting andergonomic control. It features a front ball design to keep your finger fromslipping into the blade area. Our number 1 craft knife is perfect for cuttinglightweight materials, such as paper, plastic, balsa, thin metal, cloth, filmand acetate. Made with a rear blade release and safety cap, this craftingknife was designed with safety in mind. The Number 1 Craft Knife also includesa number 11 blade, and can be fitted with number 10, 12, 13, 16, and 17 X-ACTOblades. The original X-ACTO knife has been praised for more than 50 years asthe standard for precision. Attaining this level of precision, accuracy andreliability starts with supreme quality craftsmanship. All X-ACTO knives arebuilt with a carbon steel blade for a reliable cut every time. Additionally,they are crafted with a sleek design that fits comfortably in the hand,allowing you to continue making the precision cuts needed to finish the job,no matter how long it takes.